DR uses different core wire than D'Addario. Furthermore, little special something is done to that already original core wire in this particular set, which results in quite a distinctive sound; not necessarily better or worse than say D'Addario, John Pearse and GHS, just different. The sound of the wounded strings is very similar to classical guitar bass strings: it is loud, full and thick with a long sustain. 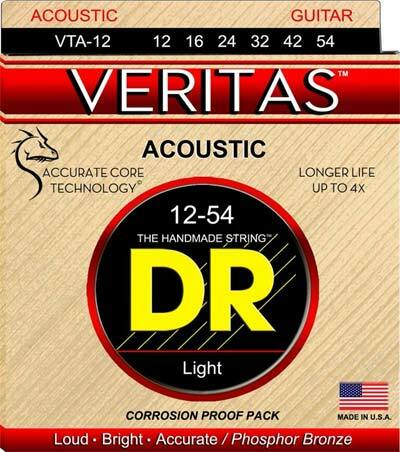 Although the individual strings sound pretty, I can't give DR Veritas full five stars, because the balance between the strings seems to be bad. I've tried a bunch of strings and this set has the worst single note separation thus far. Particularly mids are lacking while bass is overwhelming. These might be better suited for strumming than fingerpicking. Playability and feel of the strings is fine but nothing special.